money -on wine , cigars and gambling as well as more conventional household expenses – before the First World War he was spending £5,000 a year and the need to earn money accounted for his extraordinary literary output. In later years his biggest problem was taxation and the need to avoid at ( at some points it was 97%) which involved him in some remarkably complicated manoeuvres and more or less outright deception. He came very close to ruin on a number of occasions, particularly after losing huge amounts gambling on US shares in the late 1930s when he was rescued by Sir Henry Strakosch, without which he may well have gone bankrupt and lost his seat – and the history of the world would be very different. Anyone interested in 20th Century politics, of the life of Churchill will enjoy this book. Blue or pale Orange ? Ken Clark is one of those Tories who Liberals have often thought is really one of us. 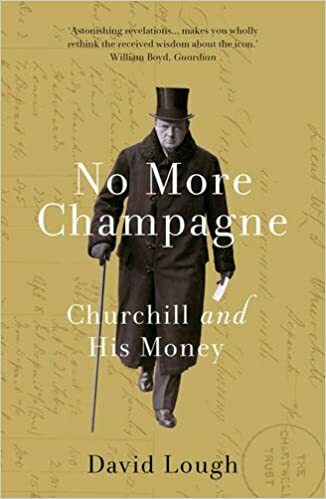 His new biography doesn’t really convince that’s the case – his praise for Mrs Thatcher for example – who he describes as ‘the best prime minister I ever worked with’ but he comes across as an interesting, urbane man with whom it would be a pleasure to indulge in his favourite brandy and cigars. Author Simon McGrathPosted on October 31, 2016 October 31, 2016 Leave a comment on Blue or pale Orange ? Prime Minister Corbyn is a dreadful idea which is no doubt why Lib Dem Duncan Brack and Tory Iain Dale have chosen it as the title of their latest volume of political counterfactuals. It includes what would have happened in a fascinating range of other scenarios. Scotland had voted Yes in 2014? the Conservatives had won an overall majority in 2010? Lyndon Johnson had been shot down in 1942? David Miliband had beaten Ed Miliband to the Labour leadership? Lynton Crosby had changed sides in 2015? or Boris Johnson had become Prime Minister after the European referendum? Author Simon McGrathPosted on October 31, 2016 October 31, 2016 Leave a comment on PM Corbyn? Lib Dem Books ( and anything else from Amazon) Blog at WordPress.com.